The narrative that the economy continues to improve is a myth, if not intentional mendacious propaganda. The economy can’t possibly improve with the average household living from paycheck to paycheck while trying to service hopeless levels of debt. In fact, the economy will continue to deteriorate from the perspective of every household below the top 1% in terms of income and wealth. The average price of gasoline has risen close to 50% over the last year (it cost me $48 to fill my tank today vs about $32 a year ago). For most households, the tax cut “windfall” will be largely absorbed by the increasing cost to fill the gas tank, which is going to continue rising. The highly promoted economic boost from the tax cuts will, instead, end up as a transfer payment to oil companies. The rising cost of gasoline will offset, if not more than offset, the tax benefit for the average household from the Trump tax cut. But rising fuel costs will affect the cost structure of the entire economy. Furthermore, unless businesses can successfully pass-thru higher costs connected to high the er fuel costs, corporate earnings will take an unexpected hit. Rising energy costs will hit AMZN especially hard, as 25% of its cost structure is the cost of fulfillment (it’s probably higher because GAAP accounting enables AMZN to bury some of the cost in the inventory account, which then becomes part of “cost of sales”). With the prospect of rising energy prices on the horizon, many businesses are looking for ways of reducing their energy costs. Some companies are looking to save money on energy by switching their energy provider. It is easy to compare business energy prices, and hundreds can potentially be saved on energy costs. Gold is holding up well vs. the dollar. The dollar is at its highest since mid-November and the price of gold is trading 2% higher than it was at in November. Also, don’t overlook that the Fed began its snail-paced interest rate hike cycle at the end of 2015. Gold hit $1030 when the Fed began to tighten monetary policy. I thought gold was supposed to trade inversely with interest rates (note sarcasm). Gold is up nearly 30% since the Fed began nudging rates higher. Despite that it might currently “feel” like the price of gold is going nowhere, beneath the surface gold (and silver) have been staging a very powerful bull market pattern. 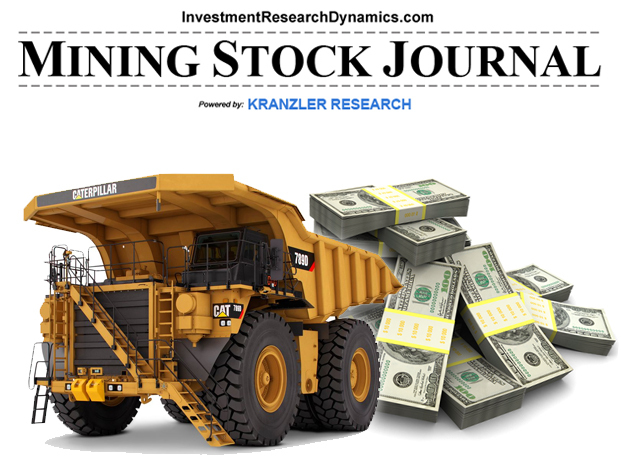 Are The Precious Metals Percolating For A Big Move? Since the beginning of 2018, gold has been stuck in a trading range between $1310 and $1360. Silver has ranged between $16.20 and $17.50, though primarily between $16.80 and $16.25 since February. So what’s next? While most analysts base their views largely on chart technicals, I have found – at least for me – the Commitment of Trader “tea leaves” is a more reliable forecasting tool. Friday’s COT report showed a continuation of the trader positioning pattern that I believe will support the next big move higher. Allegedly (note: emphasis on “allegedly”) Craig “Turd Ferguson” Hemke was awarded a Nobel Prize for his weekly A2A podcast. If true, the award is more legitimate than the Nobel Peace Prize given to Obama and the Nobel Prize for Economics given to Paul Krugman. Perhaps those latter two folks should have been awarded the Nobel Price for Charlatanism. 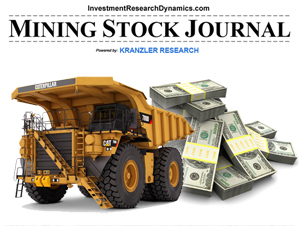 In my latest issue of the Mining Stock Journal I feature a $27 million market cap gold exploration company that I think will eventually be worth at least $100 million. 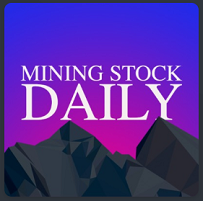 If you would like to find out more about my Journals click here: Mining Stock Journal and Short Seller’s Journal. The “crisis” quote above originated with Winston Churchill. Several U.S. politicians have referenced it since then (most recently Rahm Emanuel when he was Obama’s Chief of Staff). I’m sure the Wall Street snake-oil salesmen and economic propagandists are more than happy to attribute the deteriorating economic numbers to the hurricanes that hit Houston and southwestern Florida. Retail sales for August were released a week ago Friday and showed a 0.2% decline from July. This is even worse than that headline number implies because July’s nonsensical 0.6% increase was revised lower by 50% to 0.3% (and it’s still an over-estimate). Before you attribute the drop in August retail sales to Hurricane Harvey, consider two things: 1) Wall St was looking for a 0.1% increase and that consensus estimate would have taken into account any affects on sales in the Houston area in late August; 2) Building materials and supplies should have increased from July as Houston and Florida residents purchased supplies to reinforce residences and businesses. As it turns out, building supplies and material sales declined from July to August, at least according to the Census Bureau’s assessment. Furthermore, online spending dropped 1.1%. Finally, the number vs. July was boosted by gasoline sales, which were said to have risen 2.5%. But this is a nominal number (not adjusted by inflation) and higher gasoline prices, i.e. inflation, caused by Harvey are the reason gasoline sales were 2.5% higher in August than July. Too be sure, the retail sales overall were slightly affected by Harvey. But the back-to-school spending is said to have been unusually weak this year and AMZN’s Prime Day no doubt pulled some August online sales into July. However, back-to-school spending reflects the deteriorating financial condition of the middle class. I have no doubts in making the assertion that the factors listed in the previous paragraph which would have boosted sales in August because of Harvey offset significantly any drop in retail sales in the Houston area during the hurricane. Note – John Williams published his analysis of retail sales and it agrees with my analysis above (Shadowstats.com): Net of Hurricane Harvey Effects – Headline Economic Numbers Still Were Miserable, Suggestive of Recession – Hurricane Impact on August Activity: Mixed, Probably Net-Neutral for Retail Sales – August Real [inflation-adjusted] Retail Sales Declined by 0.61% (-0.61%) in the Month, Plunged by 1.24% (-1.24%). The Fed Continues To Target Stock Prices. The Dow and the SPX continue to hit new all-time highs every week. At this point there’s no explanation for this other than the fact that, according to the latest Fed data, the Fed’s balance sheet increased by $18 billion two weeks ago. This means that the Fed pushed $18 billion into the banking system, which translates into up $180 billion in total leverage (the reserve ratio on high-powered bank reserves is 10:1). 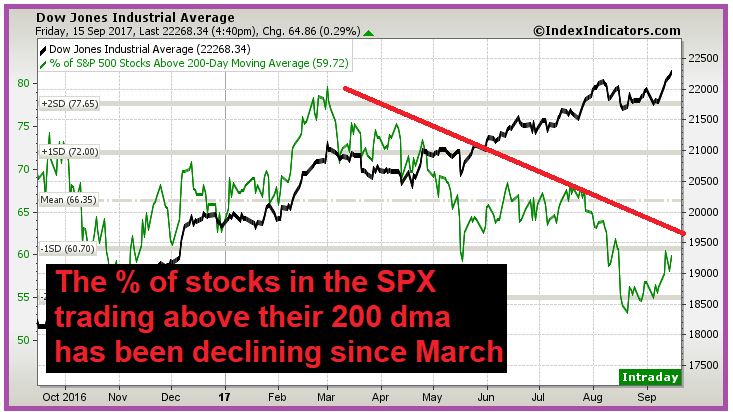 The chart above shows the percentage of stocks in the SPX trading above their 200 dma. In March nearly 80% of the stocks were above the 200 dma. By late August the number was down to 54%. Currently 60% are trading above the 200 dma, which means 40% are trading below. It’s uglier for the entire stock market, as only 43.5% of the stocks in the NYSE are trading above their 200 dma, which means that 56.5% are trading below the 200 dma. This explains why neither the Nasdaq nor the Russell 2000 were able to close at new all-time highs. Without the Fed’s direct support of the stock market, there’s no question in my mind that the stock market would be crashing. Perhaps more frightening is the increasing amount of debt being added throughout the U.S. financial system. The debt ceiling limit was suspended until December. The amount of Treasury debt outstanding jumped over $300 billion to over $20 trillion the day the ceiling was suspended. John Maynard Keynes’ macro economic model was one in which Governments could stimulate economic growth through debt-financed deficit spending. But once the economy was in growth mode, the Government was supposed to operate at a surplus and pay down the debt. Never did Keynes state that it was acceptable to incur deficit spending and debt to infinity, which is the current course of the U.S. Government. Trump has suggested removing the debt ceiling. I’m certain it was “trial balloon” to see how vocal the opposition to this idea would be. The Democratic leaders love the idea. I have not heard much resistance from the Republicans. My bet is that by this time next year, or maybe even by the end of the year, there will not be a debt-ceiling on the amount of money the Government can borrow. In truth, this is no different than giving the Government an unlimited printing press. 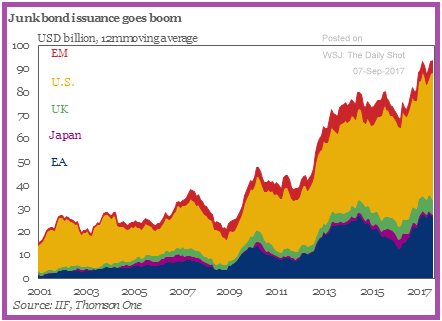 Corporate high yield debt issuance has exploded globally, as you can see from the chart to the right, which shows the amount of junk bond debt issuance annually on a trailin g twelve month basis. Globally the amount outstanding has increased by more than 400%. Close to 60% of this issuance has occurred in the U.S. In conjunction with this, U.S. corporate debt hits an all-time high every month. Most of this debt is being used either to re-purchase stock or over-pay for acquisitions (see the AMZN/Whole Foods deal). Currently the amount of debt issued to complete acquisitions as a ratio of Debt/EBITDA is at an all-time high, with 80% of all deals incurring a Debt/EBITDA of 5x or higher. The last time this ratio hit an all-time high was, you guess it, in 2007. As an example, let’s look at AMZN’s acquistion of Whole Foods. AMZN issued $16 billion of debt in conjunction with its acquisition of Whole Foods. No one discussed this, but the Debt/EBITDA used in the transaction was 13x. Whole Foods operating income plunged 25% in the first 9 months of 2017 vs the first nine months of 2016. A 13x multiple outright for a retail food business with rapidly declining operating income is an absurd multiple. That the market let AMZN issue debt in an amount of 13x Whole Food’s EBITDA is outright insane. What happened to all that “free cash flow” that Amazon supposedly generates? According to Bezos, it was $9.6 billion on a trailing twelve month basis at the end of Q2. If so, why did AMZN need to issue $17 billion in debt? We know that the truth (see previous analysis on AMZN) is that AMZN does not, in fact, generate free cash flow but burns cash on a quarterly basis. Currently AMZN is busy slashing prices at Whole Foods, which will drive WF’s operating margin from 4.5% toward zero. This is the same model that is used in AMZN’s e-commerce business, which incurred an operating loss in Q2. AMZN lost $31 last week despite the SPX hitting a record high on Wednesday. This negative divergence is bearish. In addition, Walmart has taken off the gloves and is directly attacking AMZN’s e-commerce business model. WMT offers 2-day free shipping on millions of items without the requirement of spending money upfront to join a “membership.” WMT is also running television ads during prime time which attack some of AMZN’s marketing gimmicks. Some other bearish technical indicators, a highlighted above: 1) Since the end of July, the volume on down days in the stock price has been higher than the the volume on up days; 2) The RSI has been declining gradually since early April; 3) the MACD (bottom panel) has been declining steadily since early June. All three of these indicators reflect large institutional and/or hedge funds selling their positions. 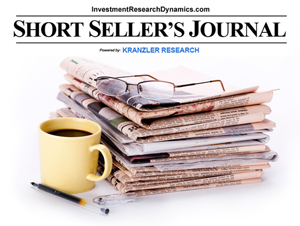 The above commentary and analysis is directly from last week’s Short Seller’s Journal. If you would like to find out more about this service, please click here: Short Seller’s Journal subscription info.